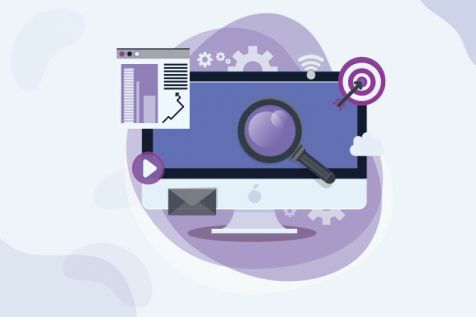 Envigo recently conducted its first survey on Future Trends of SEO where we asked SEO professionals, digital marketers, marketing professionals and organizations to answer 11 questions about the future trends in SEO. The questions ranged from the objectives of an SEO project and the impact of new trends on SEO, to factors of SEO that are expected to change over time. The goal of this survey was to help us gain a better understanding about the changes and new trends in the local search marketing industry, and what the outlook is for SEO in 2017 and beyond. We received responses from 109 participants. Most of the respondents were SEO specialists (72%) while others had SEO as part of their job responsibilities. One thing that can be surmised in the beginning of this analysis is that the user is and will be king. Most of the focus, if not the entire, will be on improving user experience in order to increase ROIs and this goal remains the same for this year as well. The goal of this survey is to help us gain a better understanding about the changes and new trends in the local search marketing industry, and what the outlook is for SEO in 2017 and beyond. The conducted survey will reach out to various members of the marketing industry. The survey results will be shared with the participants, its customers, followers, clients, and the SEO industry at large. From the collected responses, one of the lucky participants will be gifted an iPhone 6s. This blog post focuses on individual questions in order to give you a proper insight into the current and future trends of SEO. We hope that the release of this survey is timely and will help you in formulating your SEO plan for 2017. Virtually everyone who has been engaged in the practice of search engine optimization has seen versatile results. 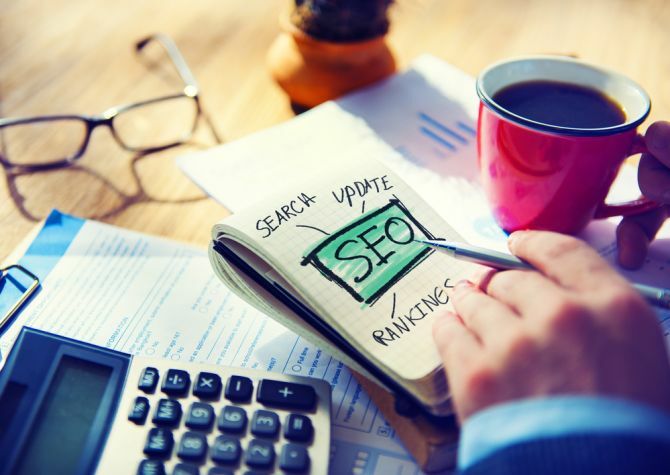 SEO has evolved immensely over the last decade due to the shift in the way people find information through search engines and a crackdown on spam by popular search engines. Relying on only backlinks as a vital SEO strategy has become outdated and focusing only on rankings has become a less relevant metric for SEO specific campaigns. Considering this, we might ask what other metrics we should be using to derive the best out of an SEO campaign—the answer is that the metric depends on your SEO project’s objectives. You need to identify your position in the market in terms of the way you acquire your target customers and the industry you operate in, before identifying your objectives. Along with this, you will have to identify the size of your business and the amount of resources and budget you can allocate to your campaign/SEO project. This is because most firms will want increased traffic from their site, while others will want to focus on increased engagement, but these may not be the best objectives for every website. For instance, your site can be used as a marketing tool through which you can engage your target audience while also generating revenue. Needless to say, SEO is most effective when it is aligned with the wider marketing strategy as it can help you get both long term and short term returns on your online and offline marketing investments. As it makes your website more visible to the TG and potential customers within search engines, SEO projects must come with certain objectives. Through this survey, we have selected the key objectives a website may want to fulfill and asked respondents how relevant each one is to them. You can take a look at these objectives individually and use the responses received as a guide for your individual marketing efforts. In case you need more information or assistance, we are here to help you. One of the most pertinent signs that you are improving your website’s visibility across various search engines is through increased organic results. With this, you can monitor your traffic statistics on a monthly basis using organic search sources; and it is especially crucial for those websites that rely on advertising for their main source of revenue. The same is also reflected in our results as 83% of our respondents consider increased organic visits as the main objective of an SEO project. However, some may feel that this objective shouldn’t be the main goal of SEO projects as additional traffic to a site does not necessarily indicate increased revenue. SEO means organic. Based on the survey report, 90% SEO clients’ objective is to increase traffic from search engines. To fulfill these objectives the SEO evangelists need to have an SEO strategic Map customized for their clients so that they can measure the performance from day 1 - for news websites, e-magazine and so on. : As per the responses received, 44% of participants have admitted that their main objective is to increase engagement through their SEO project—which shows a shift from the earlier point of view where engagement was looked at as a metric to improve rankings only. If your aim is to highlight the benefits of your product and services, then having increased engagement as the main objective of your SEO project makes sense, especially for firms that operate in travel and hospitality industries. Engaged users are also present a great opportunity for businesses to educate new customers about their products and services. How do you track engagement? Use metrics that includes tracking of articles downloaded from your website, average time spent by unique users on your site, bounce rate on key pages, etc. This will show whether your site is bringing in relevant traffic and whether the content provided by you to the TG is useful to them or not. : One of the objectives of an SEO project is Link Building, which is a continuously evolving field. Also known as backlinks, inbound links are considered to be the main building blocks of an effective SEO project. As these are directed to your website, the number of inbound links can indicate the popularity of a website. As evident from the positive response to this question (35%), backlinks are an important objective of SEO projects as search engines and Google give more credit to sites which have quality backlinks. Within Google Search itself, there are multiple trends which will greatly impact how the consumer arrives at your product. The major component that impacts this is customer behavior and how customers utilize Google Search. Voice search is one such component which has been an ongoing project in the tech industry. It is one of the fastest growing search options, which holds a lot of appeal to the user as it appears more futuristic and this is also reflected in the responses we received (54%). Coupled with consecutive improvements and updates which reduce error rates in speech recognition, voice search will be one of the biggest trends in the digital age. The other major aspect of search is mobile (54%). Mobile growth has had a huge impact on SEO and it is only going to increase. Traffic can be seen slowly yet surely inching towards mobile from desktop, with many websites creating a mobile-friendly interface. While some might consider mobile search to be a specialization of SEO, Google has now made it clear that mobile-first indexing will soon be a norm. In light of this, many news websites have already begun to churn out AMP versions of their articles. While this shift may not be evident with other websites—like e-commerce websites—the move for news websites is understandable as most users consume the news via their phone. But this isn’t just limited to news articles. If your website generates a large amount of traffic from mobile search, then adopting AMP should definitely be on your list of things to do. The idea is that a few simple structural changes can make your site load up to four times faster and use eight times lesser data. We can already see Google favoring sites that have AMPs by displaying them in a carousel and indicating them with a lightning bolt. So what does this spell for digital marketers? It means that creating a mobile version that matches the desktop version is necessary. If you cut off some of your content from your mobile version to save on space or improve on speed, it would not reflect well on your traffic. Other than voice and mobile search, many marketers also relied on Google products and AdWords to impact Google Search (19%). Naturally, while these search in the year to come, they will certainly be outweighed by voice and mobile. Click-through rates for organic search listings—especially in the first two positions—will probably decrease because the organic results have been pushed farther down the page. For mobile, we were already seeing SERPs where no organic listings appeared above the fold. We need to create an integrated organic and paid search strategy with a focus on top rankings and paid ads to maintain visibility and be in front of target audiences. Other than these, another important factor that can impact Google search are its products itself – Google news, maps, travel, local business listings, etc. 24% of the respondents are in agreement with this as such products are useful to any business, especially those with brick and mortar locations, and SMEs in particular. For instance, the “area of interest” feature is designed to target users looking for very specific directions or shopping interests. The objective of any SEO project is to make sure your website ranks higher for relevant keyword search. We asked our participants about important constituents of an SEO project and 53% of them stated the ‘Content Creation’ still tops as an important constituent for all SEO projects. 24% stated that resolving tech issues on a website was also a priority – which makes sense as most websites have similar tech issues which need to be resolved on a continuous basis. Lastly, and surprisingly, 19% of the participants answered in favor of inbound link generation. Content creation still remains the top-most priority for SEO projects and is a force to reckon with because the content of a website is what makes it worthy of relevant keyword search result position for search engines. This is what users want to see and that is why it will always be important to SEO projects. As a matter of fact, it is important for businesses/websites to create good quality content. But how exactly do you do it? Considered from the SEO perspective, good content needs to be linkable and must fulfill a demand. There is no significant difference between good and bad content if it is not linkable, from an SEO perspective. If the content is not linkable, it will be difficult for the search engines to rank it, and consequently, the content will not be able to drive traffic to your site. Use keywords your target audience is searching for. Search engines understand terminology and synonyms so using relevant and related keywords in content pieces can help search engines know what topics your site covers. Focus on social links as they play a vital role in terms of how your unique content performs across search engines. Refresh your content as it helps search engines know that your site is updated and accurate. Drive Traffic– You can get referral traffic if someone clicks on the backlink for your website which is posted on someone else’s site. Rank Higher– Backlinks tend to inform search engines about your authority on certain subjects. Therefore, it is vital that you have high-quality backlinks on high authority sites, which can help you rank higher in SERPs. Some will tell you that there are more than 100 ranking factors for SEO, but as much as we know about Google’s algorithms through observations, things in the SEO world change quickly. Page engagement – This consists of time spent on page and bounce rate, hence, 80% of the respondents feel that page engagement tactics will also change with time with regard to the content posted. Page design and usability – As per 87% of our participants, the importance of page design and usability will only increase with time. This reiterates the belief that navigation of a website should be user-friendly, creative and should provide useful information to the reader. As such, Google’s focus is not just on delivering relevant results but also provide the best experience to the searchers. Hence, site speed (84% agreed its importance will increase) matters. If your site takes time to load, then the bounce rate will be high and will result in low traffic. We then asked the participants the factors that require the highest investment of the resource available for their SEO projects. 40% of the participants reiterated, unsurprisingly, that content is the king and hence they spend the highest investment of resource available to them. Some people may feel having good quality content may eliminate the need for SEO, but that is infact not true. Content in itself cannot overtake SEO when the only way content can be successful is through SEO strategy. While SEO is more technical, content is more holistic and comprehensive. Also, SEO is incomplete without content as you need articles, blogs, videos, keywords, verbose, etc. to reach out to the searchers. Thus, the phrase “Content is King” may sound clichéd, but it’s true…to a great extent! Link building has evolved considerably over the last few years and will continue to impact SEO in more ways than one. Contrary to the popular belief, having good PR is not the only way to create links to your site; to get the best out of your SEO strategy, quality backlinks are a must. But then again, generating backlinks will not be enough in itself if it is not backed by quality content. The third highest investment from the point of view of SEO is investing in technology to have an SEO friendly site. If you are unsure whether your site is SEO friendly or not, have a free SEO audit to know where you stand and take corrective actions accordingly. If you want to build links to your website, don’t focus on only adding links, your focus should also be on driving traffic to your site and create a database of loyal customers. This is important especially when Google Algorithm changes frequently. Therefore, link building process should be an ongoing effort instead of a one off/standalone activity. One rule of thumb – keep it organic and natural and focus on link diversity. One of the main ways links can be generated is through local listings as 55% of our respondents favoured this method. Citations and local listings mention your websites and address on other websites without creating a link to the site. As such, these act as key components of ranking algorithm in Bing and Google. Use Bloggers: 50% of the respondents stated that they contact bloggers for link generation. 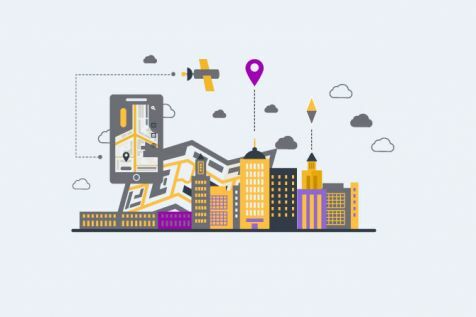 Established industries usually look for aggressive link building, while emerging firms have a plethora of opportunities to connect with bloggers and build their own community. As it is a web promotional strategy, it helps your site rank higher in search results.Press Releases – 50% of the respondents still favour PR as a preferred link building strategy, but with various opportunities available today, it cannot be a standalone option for firms. Although search engines are the best way to get free traffic to your site, as per our survey, 62% of the respondents stated that they use other relevant sources as well for free traffic.One of the relevant sources is Facebook pages; additionally, Twitter is also a good source of traffic. In the initial days of blogging, Youtube and Reddit used to be good sources of free traffic as well. 40% of our participants stated that they find creativity to be the main barrier to SEO growth. Organizations that want to acquire positions in SERP have a valid point; however, the answer to it entirely boils down to the kind of approach you have employed, the budget and relevance of keywords used by your SEO strategy. Also, all of these should be quantified to evaluate the entire process. Just because you have started a new website, doesn’t indicate that search engines will allow you to steer ahead in the ranking procedure. There are ofcourse ways to expedite the process if you are creative in your approach. At the end of the day, those who are consistent, creative and methodical in their approach can also reap the SEO rewards to get ahead in terms of ranking. However, participants (40%) feel creativity is the main barrier to SEO growth. Therefore, you need to ensure that your strategy takes into account your competition, market and your positioning, at the onset to create a unique balance. It becomes imperative that you optimize everything to stay ahead in the game. In response to our question about using in-house agency or outsource, 52% of the respondents stated that they have an in-house agency to handle their SEO projects. However, there are pros to consider if you hire an external agency to handle your SEO projects. Agencies may be perceived as expensive, but that is often not the case and if you employ an external agency to take over your SEO projects can turn out to be cheaper than expected and work as a better alternative to having an internal in-house team. Agencies know that their reputation is at stake so they are likely to be more careful with regard to your finances and budget. Also, before finalizing an agency, you should have a quick review of their previous work done for different clients. With an agency, you also have an option to pick a set of elements that you want them to work on to get the right balance and a quick meeting with the agency or their Business Development Head should allow you to know which package is the best for you. As per our respondents (36%), SEOs should have a proper understanding of Tech SEO as well as the impact of the Google Algorithms on search rankings, penalties, etc. Everyone can learn the tech side of everything, but it’s not just about the syntax, but more about how to solve a given problem. Understanding the necessary information and mapping it in the larger context to knowing the long-term impacts of decisions go a long way in ensuring such skills are developed and nurtured. Tech SEO allows ideas come to life! The infographic summarizes the main findings of the survey. SEO factors, changing trends and expectations govern the formulation of SEO strategy adopted by organizations. We hope that the release of this survey is timely and will help you in formulating your SEO plan for 2017.